A deliciously light Breakfast Muffins with Orange and Raisin at the center. Up for grabs is a fresh batch of breakfast muffins, okay I can hold my excitement no further for I am on the seventh heaven right now. The reason you ask and I say this, my entire batch of muffins have come out perfectly moist, light and fluffy. Yay, I am sure most of you can empathize with the happy feeling that hits when we see our cake rise perfectly, not to mention the downside when both heart and cake sink in concert. But, today was just my muffin day and my excitement almost got me to measure ingredients for another load, although I did manage the temptation just in time. I already have baked 12 of these Orange Raisin Muffins, they are sure enough calories to take me another step away from my resolution, phew I need to give up on that(the resolution) already. 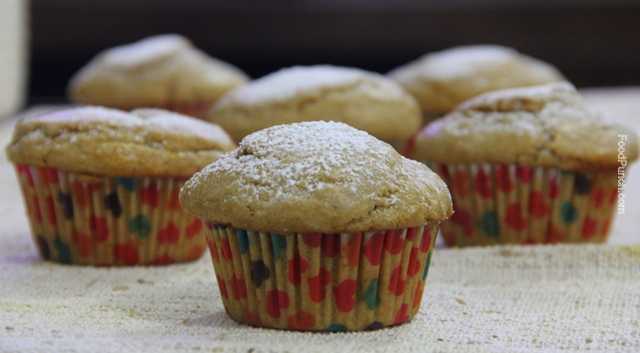 I may be blowing my trumpet far too loud and long, but Muffins after all are not quite as easy to get right as one may think, so I have all the reasons to celebrate and so can you, i.e if you decide to try this recipe. 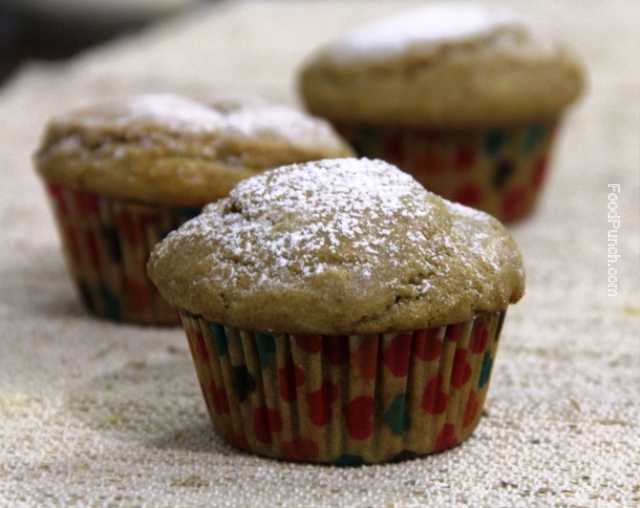 Well, I made these muffins using half part whole wheat flour to cut down on the gluten and combined raisins and orange juice to make a conserve and then added it like a center filling to the muffin. To confess, I feared the entire raisins might sink to the bottom of the muffin, but surprise -surprise it didn’t and against all my fear it was nicely intact right at the center. Trust the trick here was to have the raisins and orange juice reduced to a thick jam like consistency. Mix raisins, orange juice and 1 tsp crystal sugar in a sauce pan and bring it to a boil on high flame and then let reduce on a low flame, stirring occasionally. Now sieve the wheat flour in a large bowl, then add all purpose flour, baking soda, baking powder, salt, cinnamon powder and orange rind, mix together using a spoon and keep aside. In another bowl first whisk two eggs for a minute, then add entire brown sugar, butter and beat well. Check for the raisins and remove it from the heat once it has thickened like a jelly and allow cooling. Now add the beaten egg mixture and milk to the flour and lightly fold together using a spatula. Mix only till everything just combines together, do not over mix. 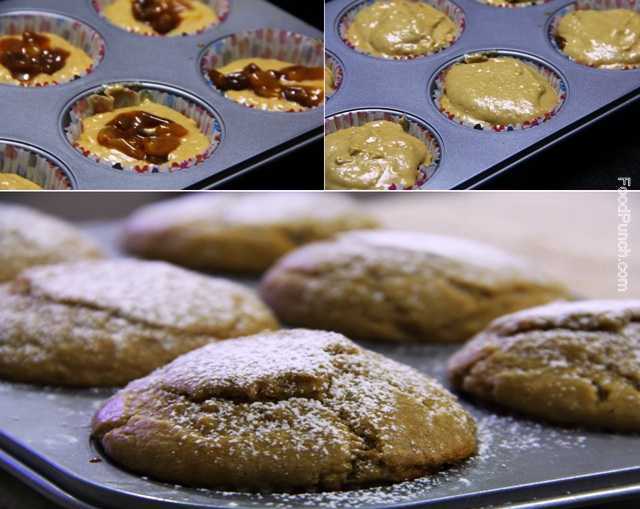 Line or grease muffin cups/tray and first scoop the batter till ½ the height of each muffin tins, then evenly divide raisin jelly into 12 parts and drop one at each centre and finally top up with more batter filling up till 3/4th height of the tin. Bake for 15-20 mins or until a toothpick comes out clean through the muffins, mine took about 17 mins. Allow to rest on a wire rack for 10 mins and dust lightly with icing sugar before serving warm. 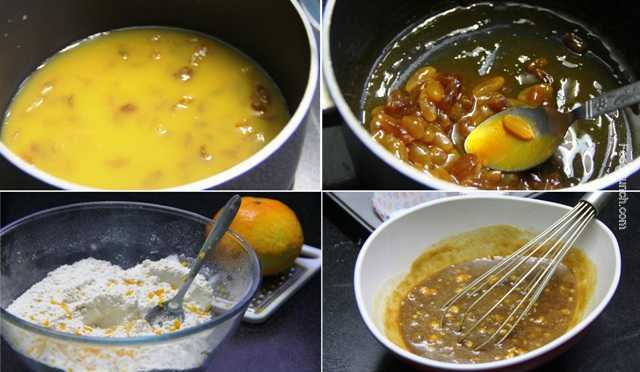 You may choose to directly add the raisins and orange juice rather than reducing to a jelly, but then cut down the orange juice to 100 ml and beat with eggs and reduce milk to ½ a cup. Do add extra raisins on the top for that extra magic. Do use just all purpose flour if you want a lighter colour or just whole wheat flour if you like the dark brown rustic colour. Most important here, do not over mix the batter, we don’t want gluten to form , it will make the muffins hard and it will not rise when baked. Glad You liked it Chhaya..Would love to know how did yours turn out ..